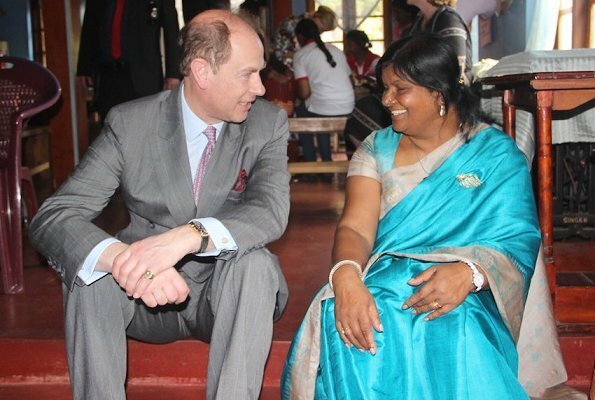 On the 3rd day of their visit to Sri Lanka, Britain's Prince Edward and Countess Sophie of Wessex visited Nuwara Eliya city located on a mountainous region in the center of Sri Lanka in order to receive detailed information about "Mentally Handicapped Children and Families Educational Project (MENCAFEP) and to see on site works performed for the project. The project which began with only 6 children in 1988 presently helps more than 3000 children and their families in Sri Lanka. Love it - the pattern and style. I think they're fabulous representatives of the Queen - love how they always get involved. Sophie has been good for Edward who was inclined to be a bit pompous when he was younger. Erdem, surprisingly.. Whatever one could say about the two worn by Kate in Sweden (I loved the romantic blue, but not the mustard curtains) they certainly weren't dull. This is definitely dull. It reminds me of the1950s idealized style of a suburban housewife. There's no point in doing retro if the result is boring. I love Sophie's look here. Tropical and colorful but still right for a royal visit with children. Erdem is very hit or miss for me, but this is a hit for this particular visit. 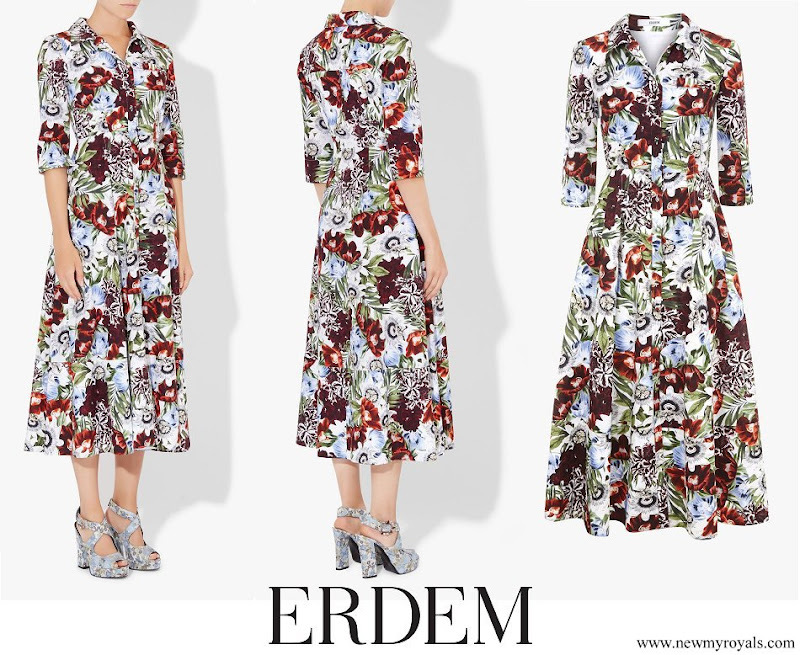 Sophie always picks beautiful Erdem dresses, unlike other royals. Also Eugenie's engagement dress was a beautiful Erdem design. I am very impressed with a commitment of the British Royal Family to Charity including Prince Edward and Countess Sophie of Wessex. Recently I listened to a speech of Prince William and he mentioned that charity is a first priority among many things which he learned from his parents then.